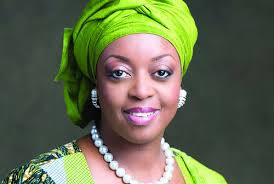 The Economic and Financial Crimes Commission linked the offence to a former Minister of Petroleum Resources, Mrs Diezani Alison-Madueke. The Commission who wanted the money forfeited to the Federal government told Justice Chuka Obiozor via an ex parte application that the N7.6 billion was part of a sum of $153,310,000 which Diezani allegedly syphoned from the coffers of the Nigerian National Petroleum Corporation sometime in 2014. The EFCC also alleged that Mrs Alison-Madueke stashed the money in three banks, and the Federal Government had since February last year, through an order granted by another judge, Justice Muslim Hassan also of the Federal High Court, recovered part of the money from the other banks.